Aluminium–water reaction presents itself as a potential method for hydrogen production. In the present work, the authors have developed a method of utilizing aluminium dross for its effective recycling and simultaneous production of hydrogen gas and alumina. Examining aluminium–water reaction for hydrogen evolution with alkaline solutions of various concentrations is the primary objective of the present research. A detailed study of the process reveals that the amount of hydrogen gas generated increases with the increase in the concentration of the alkaline solution and rise in the reaction temperature, whereas the rate of hydrogen evolution is highest at the onset of the reaction, gradually decreasing till the climax. The characterization of the raw materials and the resultant products has been carried out. The residual solids obtained after filtration of the liquor is heated at 900 °C for 4 h. This leads to the generation of alumina. 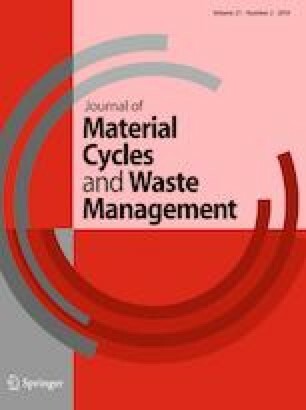 This research article targets the economical recycling of aluminium dross with minimal processing expenses and environmental impacts. The authors deeply revere the Head, Department of Metallurgical Engineering, Indian Institute of Technology, (BHU), for providing the facilities to conduct the research. They also thank the laboratory staff, Extractive Metallurgy Division, Department of Metallurgical Engineering, IIT (BHU), for their constant support. Also, the authors thank Mr. Amitabh Deva, MD, Deva Metal Powders Pvt. Ltd. for providing aluminium dross.